These lightweight, sweat-wicking tights give that run-forever feeling. 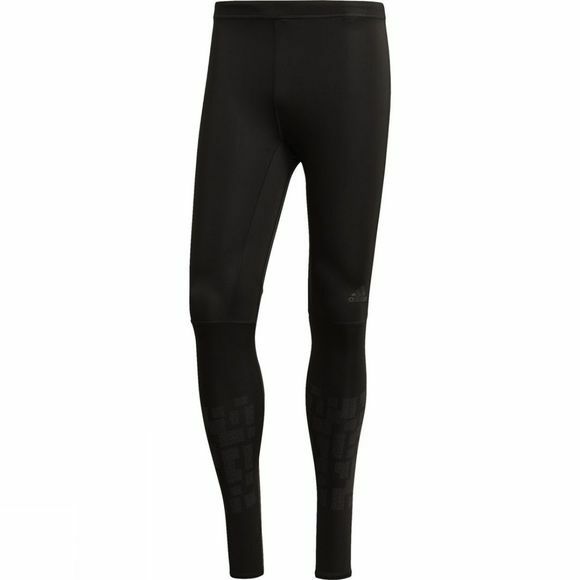 These men's running tights are designed with soft, climalite® fabric to draw moisture away from your skin for long-lasting, dry comfort. Their high-stretch build and double-sided fabric adapts to your body's movement for a second-skin feel. Ankle zips allow for easy on and off over shoes, and a drawcord elastic waist provides an adjustable fit. A sweat-guard zip pocket holds small essentials.